A low cholesterol diet can help the more than 100 million Americans who have unhealthy cholesterol levels that put them at a borderline risk for cardiovascular disease (CVD). Of these, over 40 million are at a high risk. And since the first symptom of heart disease in fifty percent of all cases is death by heart attack, it makes good sense to manage your risk factors. You can start by eliminating as many saturated and trans-fats as possible. Do this by limiting your intake of processed and fatty meats, whole milk products and bakery goods made with hydrogenated fats. Cut back on cheese, butter and dishes prepared with high-fat foods. Avoid saturated solid fats like lard, shortening and partially hydrogenated margarine. And, definitely, eliminate fried food. For cooking or salads, use small amounts of butter (which doesn’t easily change to trans-fats when heated) or olive oil. Instead of fatty meats, eat lean meats and poultry without the skin. Also include lots of fish in your eating program. Two or three baked or grilled servings of fish each week are recommended. Look for high omega-3 oil rich salmon from pure north Atlantic waters. Omega-3 oils have been shown to help reduce LDL (bad) cholesterol. Use fat-free or low fat dairy products instead of high-fat whole-milk products and substitute fiber rich whole grains for white bread and pasta. For example, you could have rolled oats and fresh fruit or a low fat whole grain muffin for breakfast rather than sugar coated corn flakes. Most beans, nuts and seeds, within reason, will also help improve your blood lipid profile. Try hummus on whole wheat bread or a whole rye cracker or a small bean salad for a snack. Eat at least five (preferably nine) servings of fruits and vegetable every day. 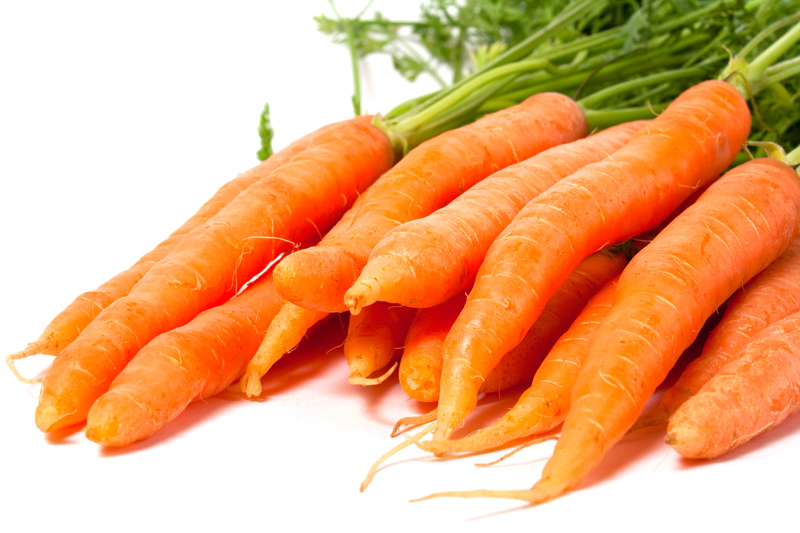 They’re rich in vitamin C and E, as well as carotenoids and other powerful phytonutrients. Everyone needs these anti-oxidants, since it’s the oxidized cholesterol that sticks to the artery walls and kills people. Have fruit and low-fat yogurt for breakfast, a salad of dark green leafy lettuce for lunch and think of foods like carrots, celery, red peppers, raw broccoli and cauliflower for snacks. Always try to include a couple of cooked veggies for dinner. Whole grain pasta with zucchini and onions lightly sautéed with garlic in olive oil added to the tomato sauce is easy and delicious. And, remember, “an apple a day keeps the doctor away”, but peaches, pears, strawberries and other fresh fruit also have the same power to help you stay healthy. Drink lots of water rather than cola drinks and milk shakes. However, you might include a little bit of wine or beer (no more than one glass a day). By following these dietary guidelines and adding some light exercise such as a half-hour daily walk, you can lower your cholesterol and create an optimum blood lipid profile. This will greatly improve your odds of NOT being one of the over one million Americans who die every year from heart disease.